Christchurch has long been perceived as a staid, conservative, more-English-than-England town that is a little, well, boring. 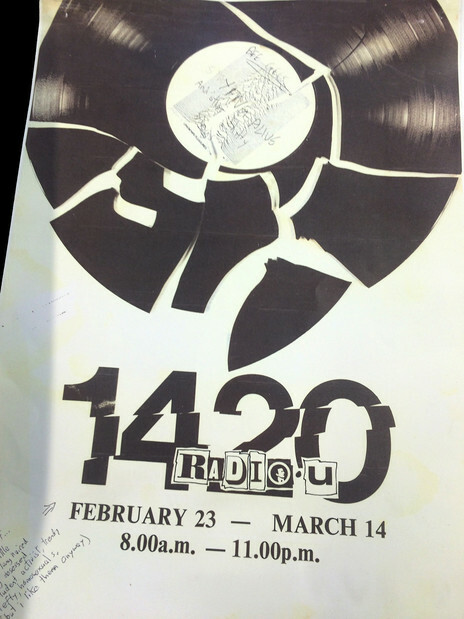 But alongside this culture of rugby and farming, a more subversive counter-culture has existed, and since 1976, student radio station RDU has been a part of that. 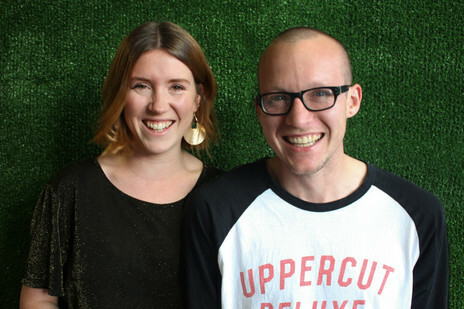 From humble beginnings, transmitting intermittently during the university orientation period, to a permanent studio with a permanent licence, RDU’s story mirrors that of many of New Zealand’s other student radio stations. However, it also has a peculiarly rich history that could only come from growing up in Christchurch. What we now know as RDU first started broadcasting at 8am on 23 February 1976, under the name of “Radio U”. It operated under a special licence, and was allowed to broadcast during the orientation and enrolment period. The equipment used for broadcasting was owned by Radio U, which was a subcommittee of the University of Canterbury Student’s Association (UCSA). 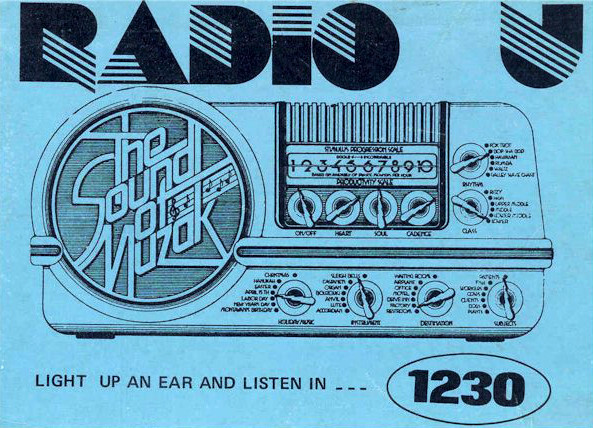 In the early years, the times that Radio U could broadcast were quite limited, and by the early 80s, Radio U was applying for a licence to stay on air for longer times. 1982 signalled a few changes for the station, with advertising being allowed on air for the first time, and broadcasts being permitted for three periods – orientation, capping, and the winter festival. In 1983, Radio U was granted a continuous licence for the first time, with transmission stretching from 14th February until 13 August. The initial frequency was 1503 AM, moving to 1422 in 1985. 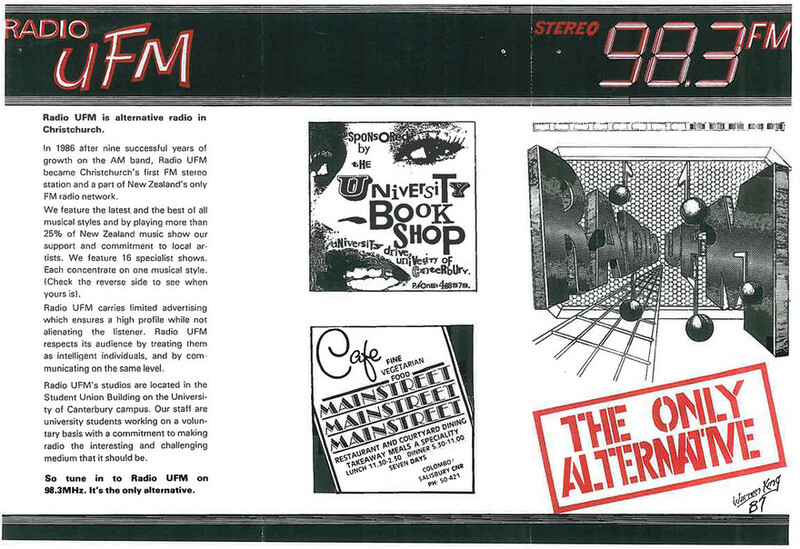 In 1986 Radio U went to 90.5 FM, and a year later to 98.3 FM, where it stayed until 2002, when it was moved to its current frequency, 98.5 FM. 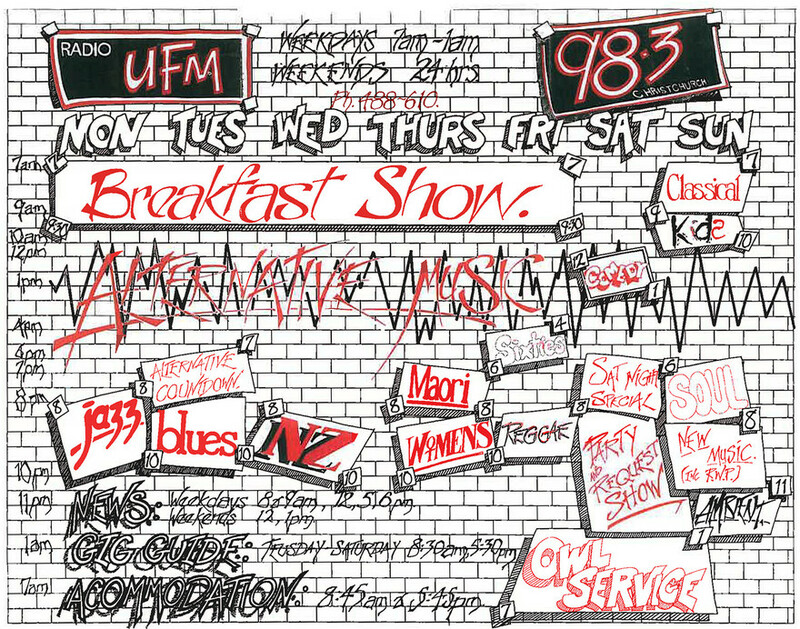 Following with the changes in frequencies, Radio U changed its name to UFM in 1986: it was the first FM station in Christchurch, and the first in the South Island after Radio 1. The first mention of 98-RDU seems to come by the end of the decade. Certainly, by the early 90s RDU was the name used in both official documents and station branding. The 90s were the best of times and the worst of times for RDU. 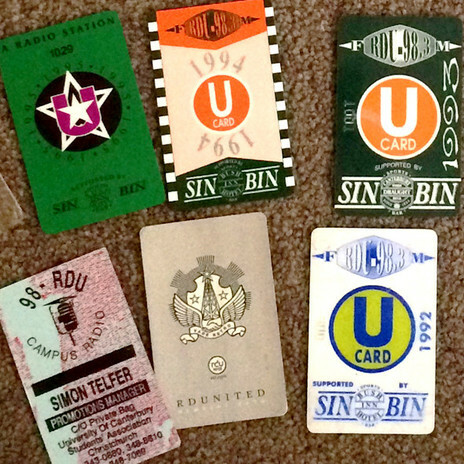 In 1991, the station was given a 20-year licence, meaning they no longer had to re-apply each year. 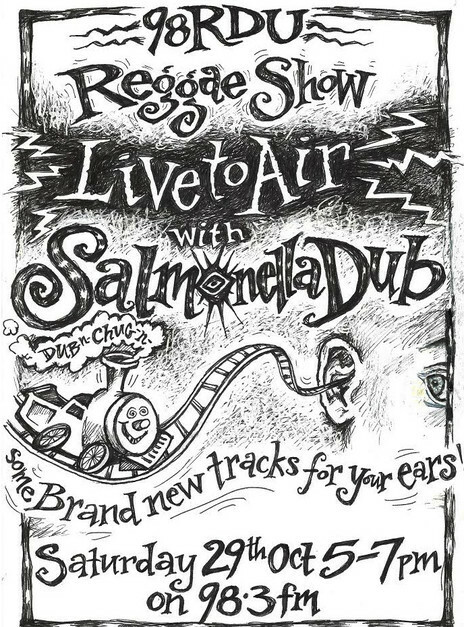 On air, the ability to broadcast continuously led to the development of a number of the shows that would give RDU its sound and identity. Off air, the station was in a constant stage of financial chaos that wouldn’t really be resolved until the UCSA sold off RDU (and its mountain of debt) in 2006. 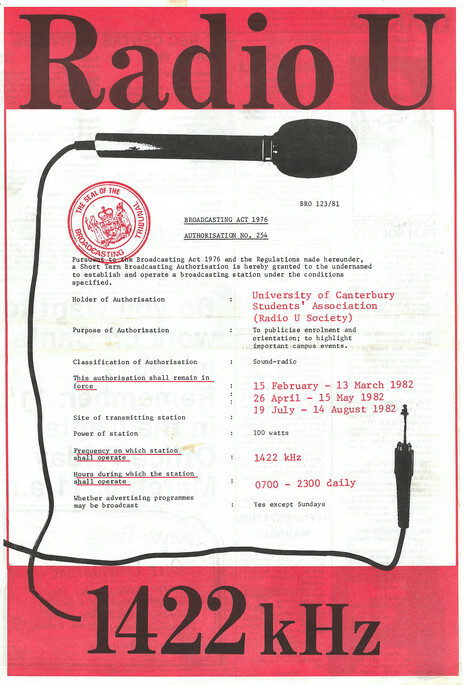 In 1993, UC student newspaper Canta reported that RDU had lost $50,000 in the two years since it went “private”, and it was hoped that a new manager and a $50K cash injection from the UCSA – which was the main shareholder in Canterbury Student Broadcasting Ltd, the company that ran RDU – would turn things around. The UCSA president said that poor financial performance was the result of lower than expected revenue from advertising, which might have something to do with RDU not having had a sales rep for the previous four months. 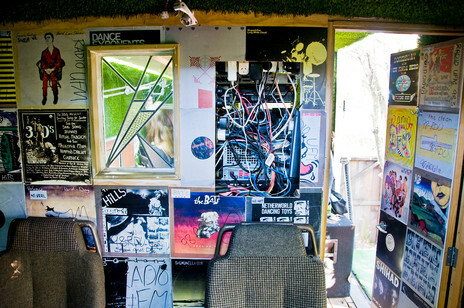 The move to a continuous licence, the rise of dance culture, and the Balkanisation of the alternative scene, led to the development of RDU’s on-air identity in this period. 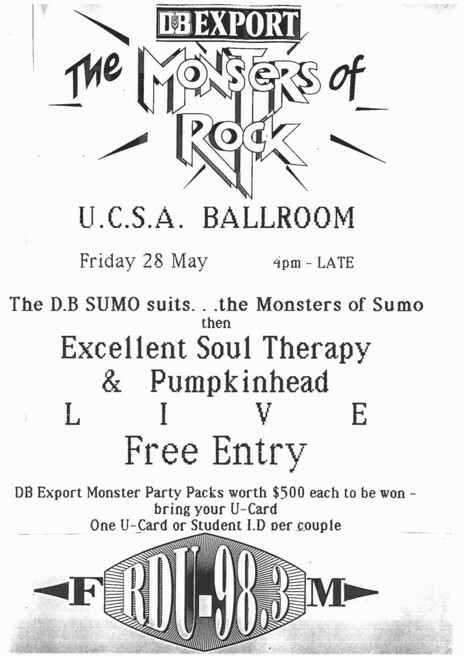 There were an increasing number of specialist shows, and many of them grew up alongside the nascent underground dance scene in Christchurch. Many of the night-time DJs would finish their radio shows before jumping on a bus with their record boxes to play at the growing number of bars, warehouses and other venues that were delving into dance. 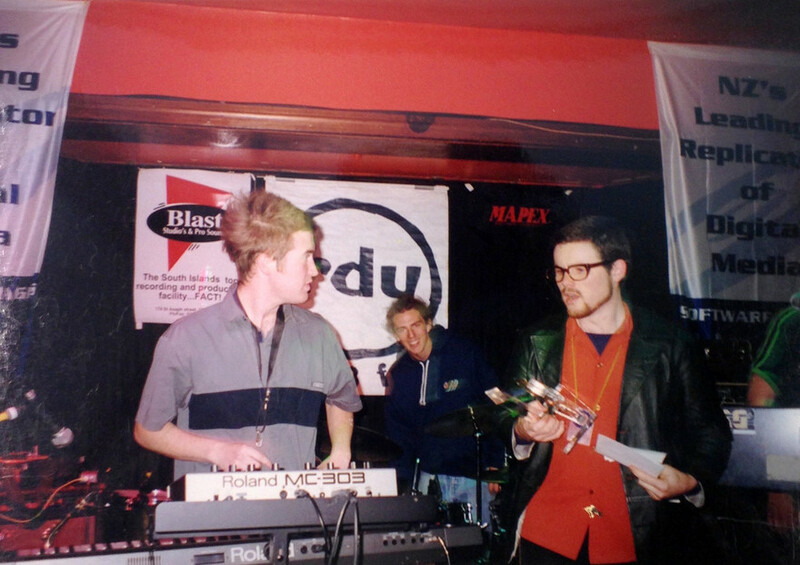 In 1999, RDU started Christchurch’s premier DJ competition, Decknology. Run along the same lines as their original band competition RoundUp, it has seen many of Christchurch’s best DJs, from all genres, go head to head. Three-time past winner Ruse made it to the Top 10 at the 2016 Red Bull Thre3style DJ competitions. In 1998, RDU started the “Not So Young Entertainers” competition, a band competition with a name that played on the TV show that was running at the time, McDonald’s Young Entertainers. The competition changed its name to “RoundUp”, and past winners include the Puffins, Tiger Tones, Bang! Bang! Eche!, The Undercurrents and Smoking Voodoo. To some controversy Clowndog won the final that year – beating out Shapeshifter. There has always been a strong link between the Christchurch alt music scene and RoundUp, and many hosts have had bands that have entered, and vice versa. [James Dann entered “at least twice”, making it to the final and losing to the Unfaithful Ways in 2008.] RoundUp was often also an entry point to broadcasting on the station, and this was the case for Spanky too. Glenn “Wammo” William and Spanky, RDU. Spanky had a variety of shows on the station, including a drive slot, but it was his role on breakfast alongside Glenn “Wammo” Williams that really cemented his place as an RDU legend. They made an irreverent, confrontational, and at times controversial pairing. They had a wide range of regular guests, including the then-Prime Minister Helen Clark, and her opposite in the National Party. Spanky remembers that “Don Brash called in for few months when he was leader of the opposition – and we’d convinced him people were sending us in love advice questions that they wanted him to answer.” After a while Spanky left the early morning slot, and Wammo moved on to Kiwi FM for a bit – but Spanky returned to host breakfast on his own from 2009, until he finally got a real job in 2012. While there were changes behind the scenes, the sound was still the same old RDU. 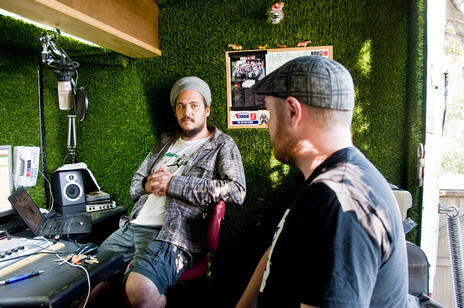 The station celebrated its 30th birthday in 2006 with an event called “Cheap as Chips”, which saw a crowd of more than 12,000 partying in the sun to the sound of Fat Freddy’s Drop, as well as RDU DJs. Cheap as Chips was put on by Fabel Music, run by James Meharry and Karyn South. Meharry, aka DJ Pylonz, had been involved in RDU since the mid-90s, first as a host, then later, coming on as a staff member, involved in the sales side of things. The sale of RDU to Meharry and South in 2006, their investment into the station’s dire equipment situation and the subsequent changes to the way the business was run – without the ability to fall back on the UCSA – were necessary to keep the station running, and were critical to its capacity to respond to the immense disruption of the 2010-2011 earthquakes. RDU was without a studio. Also devastated was the central city, where the majority of RDU’s sponsors and advertisers were based. There were some very serious questions as to whether the station would continue. Spanky and Morgan managed to get a breakfast show out, cobbling together recordings from iPhones and whatever else was to hand. Part of what Morton was tasked with was the responding to the logistical challenges of broadcasting from a truck. Each morning, the RDUnit was parked up at Phantom Billstickers in Sydenham. Rachel would go get it at 4am each morning, when the night-time poster guy would finish his shift. She would then drive it to another site in Sydenham, where it had to carefully parked so that it had a clear line of site to the transmitter on Huntsbury Hill. Gabe the PD (Gabriel Calcott aka DJ Messenjah from Dubwise, Reality Chant) would then pack the truck up at 6pm and return it to Phantom. 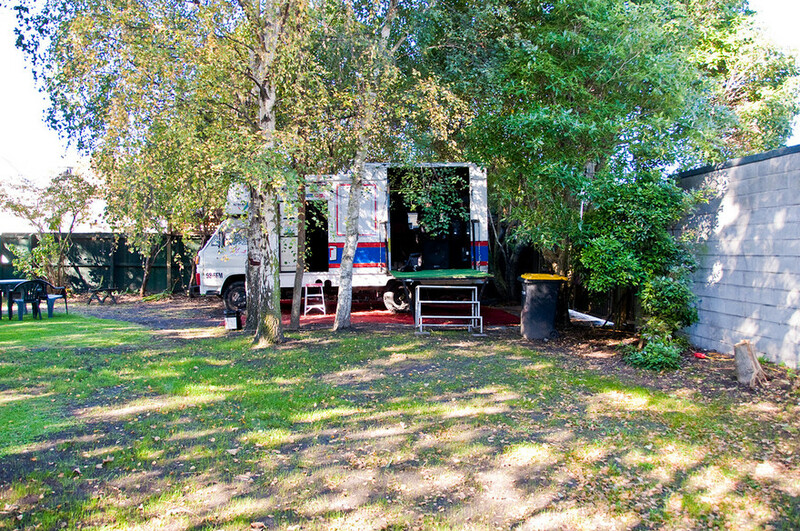 A little later on, they found a new place for the truck just around the corner in Sydenham, which allowed for hosts to come in and do evening shows. In 2013, the RDUnit found a more permanent home close to the CBD in Gloucester St. Morton became station manager in 2013. The RDUnit was at its Gloucester St location for the longest period at which it was RDU’s main base. There was a small office in a nearby building, and the staff shared a toilet and kitchen with some WINZ staff. This proved very exciting for the MSD staff when James Rolleston and Cliff Curtis came to do an interview in the truck while promoting feature film The Dark Horse. 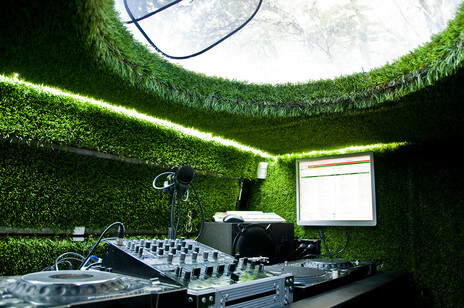 The RDUnit was custom fitted for the job, and although it was a tight squeeze, did the job until 2015 – when the station moved back to an office with proper walls and a roof. The current studio is in the Boxed Quarter, an innovative building project on the corner of St Asaph St and Madras St – where popular venue the Southlander Hotel (the Jet Set Lounge) used to be. Also in the same complex is music rehearsal space BeatBox, and the new iteration of the RDU studio is connected in to this space, allowing for the live broadcast of bands from a full studio environment. Aware that the station’s 40th anniversary was fast approaching, Morton had pitched the idea of a small show at the Canterbury Museum for 2016. 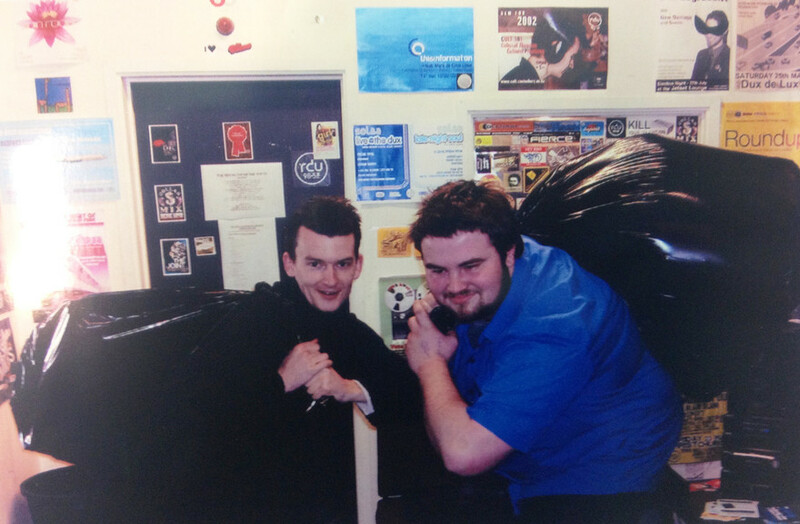 This planted the idea in the heads of the team at the museum, including the exhibitions manager, Neil Phillips – who had a long history with student radio from his time as the bassist in HDU. The small show expanded somewhat, and Alternative Radio ran from 18 March to 14 August 2016. Aside from having a huge amount of memorabilia from the station, it also featured an extensive public programme that saw acts including The Bats, Pacific Heights, The Shocking Pinks, The Transistors and Lawrence Arabia play shows in the museum. A number of live broadcasts were also made from the museum, including getting some of the iconic hosts of the breakfast shows back to do shows. Morton left Lyttelton in early 2017, and is now in Berlin, where she is working with Alastair Burns / Heartstop Music, who manages Marlon Williams and Julia Jacklin. Another innovation, forced upon RDU by the quakes, and changes to the way people listen to music, is the RDU App. This combines the traditional loyalty program that RDU and many other student radio stations have long had with a playback device, so that people can listen to the station live from their phone. With more than 13,000 users, it will be a key part of the station’s moves to service an ever-changing audience. As with most parts of the media, radio is in a state of very rapid change, adjusting to a new world of on-demand content and targeted advertising on social media. RDU has somehow managed to survive for 40 years, despite the challenges of debt, earthquakes and dead air. It has overcome all that, so here’s to it making another 40 years, rolling the plains.